A pastor helps buy and restore a historic church in Mansfield. There was a time not too long ago that the small Methodist church on North First Avenue in downtown Mansfield seemed destined to be torn down. Dating to the 1940s, the church was in disrepair, with a steel cable the only thing preventing the collapse of one of its walls. "My wife originally found it. I walked through it and I said 'nope, we are not buying this. This is a mess,'" Adam McCain, lead Pastor at Cedar Hill's Little Church on the Hill, said. McCain and Little Church on the Hill would ultimately buy it, starting a months-long renovation odyssey that would cost more than $1 million. "It was very intense, a lot of work, basically a total gut," contractor Ricky Moffett said. 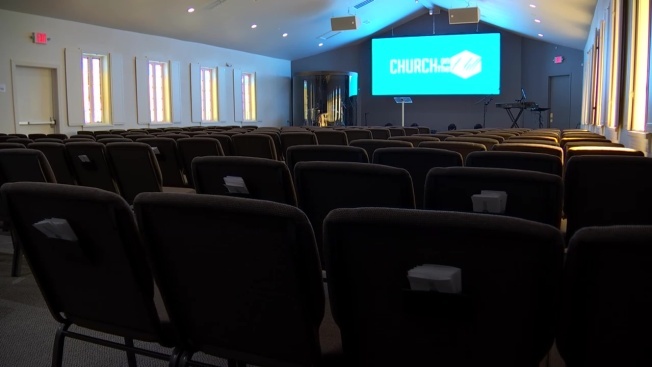 With work now complete and services at the non-denominational church beginning last month, church leaders say it was well worth the investment. "All the city officials came through and one literally told us 'you've resurrected this facility' and that, for us, kind of was our heart," McCain said.